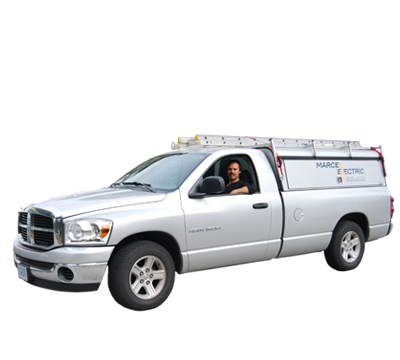 Marcel Electric Inc. has been in business for over 15 years with experience in residential, commercial and institutional projects. Licensed, bonded and certified, we service the Greater Vancouver Area: Vancouver, North Vancouver, West Vancouver, Burnaby, Surrey, Richmond, and Coquitlam. The company is owned and operated by Marcel Rainville, a hardened and trustworthy professional. Marcel Electric is experienced and certified to estimate and complete projects on schedule and within budget. We proud ourselves on an ever-expanding client list and on developing strong business relationships through friendly, honest, and prompt service. Our clients’ electrical needs will get a top-notch service at a reasonable pricing. Marcel Electric Inc. also provides electrical maintenance service to many property management companies throughout the GVA. From single family homes to condominium complexes, office buildings, small retail shops and restaurants, we are among BC’s most trusted electricians. Please view our Projects to get an idea of the kind of work we have done and of what we are capable of.